With the iPhone 6 and iPhone 6 Plus, Apple’s brought out support for shooting full HD video in a smooth sixty frames per second (FPS), as opposed to prior models which limit 1080p video capture to a suitable thirty frames per second. High frame rates make motion-intense videos even more awesome. For example, video shooting at 60 FPS gets rid of the stutter when panning the camera or capturing fast-moving objects. 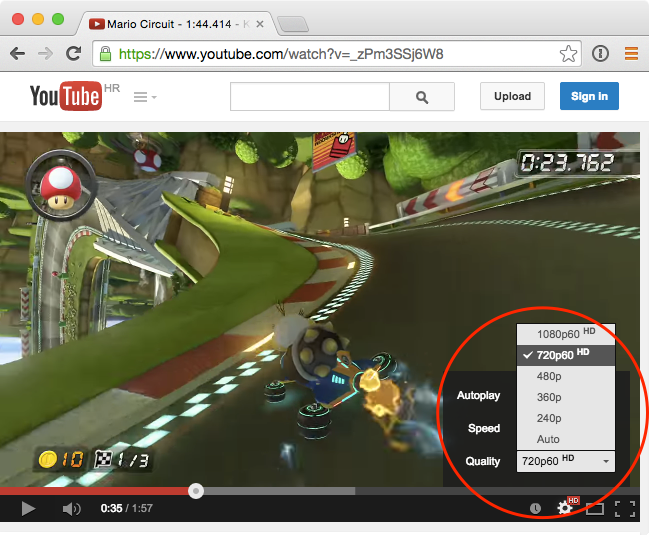 And with YouTube now accepting 60 FPS uploads, you can share your silky smooth footage with the web at large. While both new iPhones default to capturing video in the traditional 30 FPS, all it takes to enable the new frame rate is flipping a switch in the Settings app, here’s how. Step 1: Open the Settings app, scroll down and tap on Photos & Camera. Step 1: Set the “Record Video at 60 FPS” switch to ON down in the Camera section. Step 3: There’s no step 3. 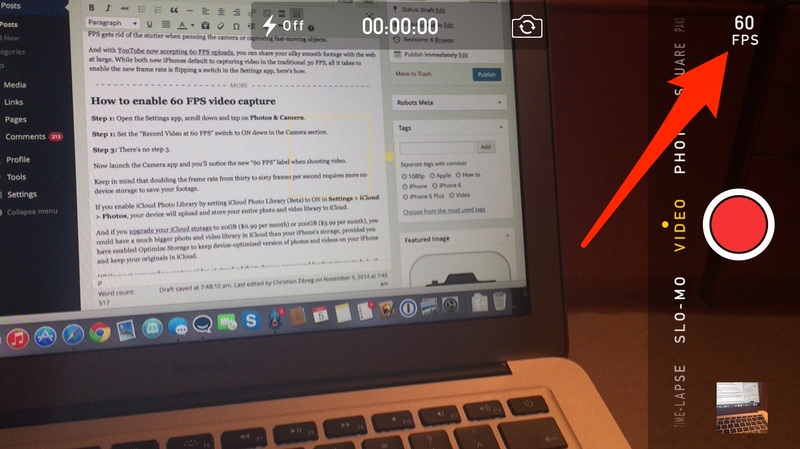 Now launch the Camera app and you’ll notice the new “60 FPS” label when shooting video, as shown below. Keep in mind that doubling the frame rate requires more device storage to save your footage. If you enable iCloud Photo Library by setting the “iCloud Photo Library (Beta)” switch to ON under Settings > iCloud > Photos, your device will upload and store your entire photo and video library to iCloud. And if you upgrade your iCloud storage to 20GB ($0.99 per month) or 200GB ($3.99 per month), you could have a much bigger media library in iCloud than your iPhone’s storage, provided you have enabled Optimize Storage to keep device-optimized version of photos and videos on your iPhone and keep your originals in iCloud. While most camcorders capture video at standard thirty frames per second, 48 FPS video is commonly used in HFR (High Frame Rate) live-action footage and a few Hollywood movies like The Hobbit. As for the 60 FPS option, it’s especially suitable for capturing animated user interfaces like iOS and graphics-intensive games such as first-person shooters and action titles on consoles that run at 60 FPS. “We’re starting to roll out video support for 48 and even 60 frames per second,” says a notice on YouTube. Our own Jeff Benjamin is now shooting his jailbreak and how-tovideos in 60 FPS. For the time being, YouTube does not serve high frame rate clips on mobile so you’ll need to use a desktop browser like Chrome or Safari for the Mac. The feature relies on HTML5 and does not use Flash player. option will be enabled for “motion intense” footage only. You can check out other examples of smooth 60 FPS live-action and gameplay footage in this article. 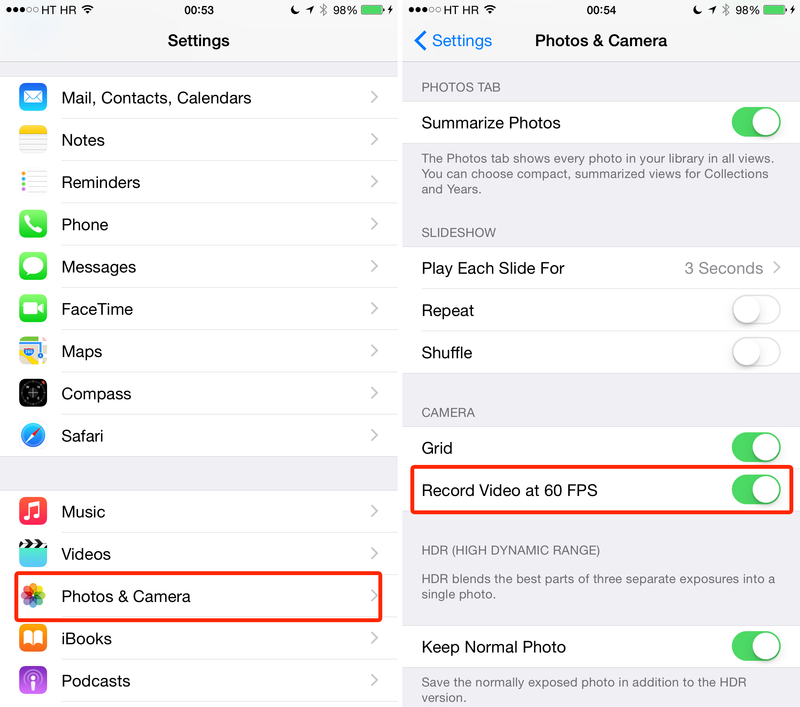 Have you tried 60 FPS video capture on your iPhone 6 or iPhone 6 Plus? And if so, were you able to tell the difference between 30 and 60 FPS? Helpful! Any idea if there is a tweak to let you play youtube videos at 60FPS on an iphone? Probably not huh. Does this affect the stabilization at all? I know it does sound stupid, but I did notice that when I enabled it, the footage did seem to be a little shakier. May just be me though.